HAMMOND, Ind. (WLS) -- Alcohol may have been a factor in a two-car crash that killed one man on the Borman Expressway in northwest Indiana Saturday night, police said. The crash occurred at about 10:20 p.m. at the 3.6 mile marker in the eastbound lanes of the expressway. Indiana State Police said a van traveling in the far left lane hit an SUV in the next lane. 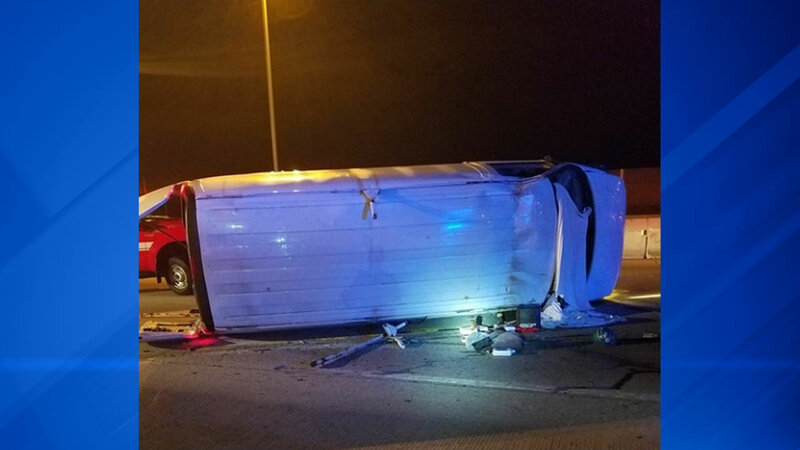 The driver of the SUV said the van then began to fishtail across all lanes before hitting the concrete barrier wall and overturning. The driver, 28-year-old Devin Risher from Portage, Ind., was trapped inside and died of blunt force trauma. Police said he was not wearing his seat belt. The eastbound lanes of I-80/94 were closed for about two hours while police investigated.